If you are looking for another example of how to sew up a Swingset Skirt, Jennifer has got a clever idea to get you thinking outside the pattern envelope. Thank you Jennifer for sharing your fun project with us! Would you believe that I have been sewing Oliver + S patterns for six or so years, and only just now got around to posting a photo of something I made? 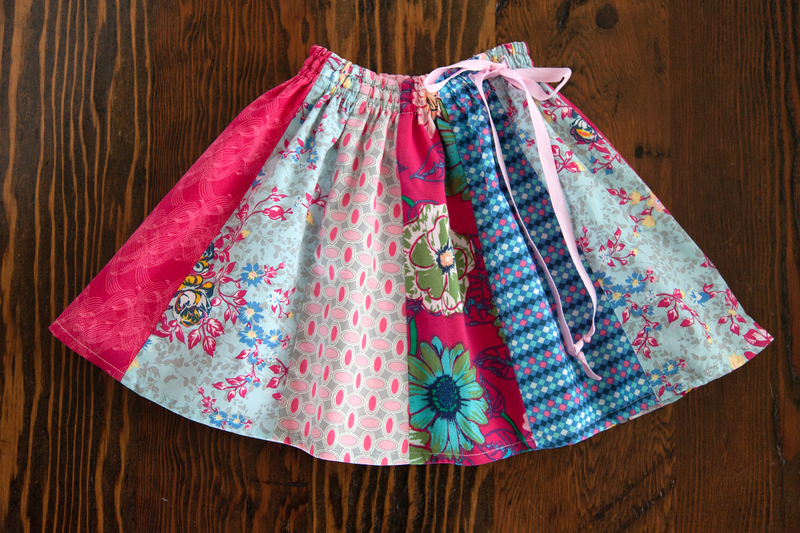 You can imagine how thrilled I was when I was asked to share with you how I made this pieced variation of the Swingset Skirt. 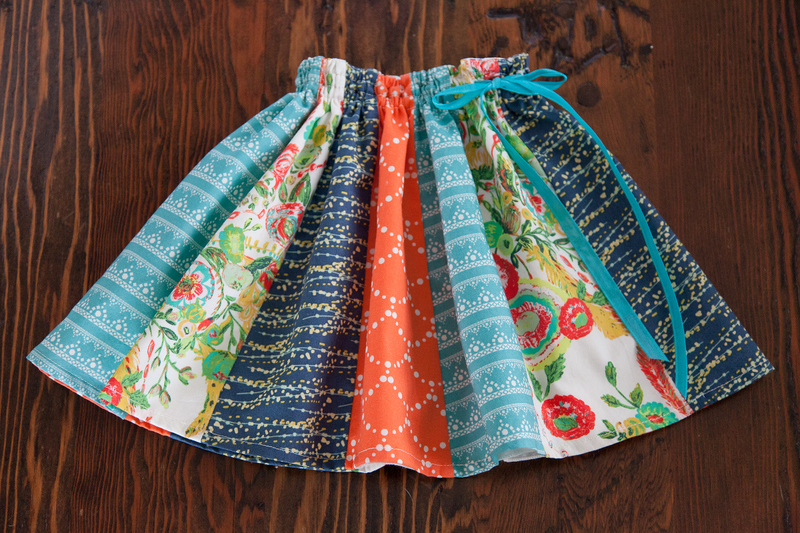 The idea to do this variation came from my girls’ love of the scrappy, colorful skirts and dresses made from multiple fabrics (which unfortunately often come with considerable price tags). So far, I have used coordinating lines of fabrics, but this would be a perfect use for the many small pieces of fabric we are all inevitably left with after any given project. To begin, I traced the outer skirt pattern piece of the Swingset Skirt onto a piece of tracing paper, so as to have something to mark (make mistakes!) on. 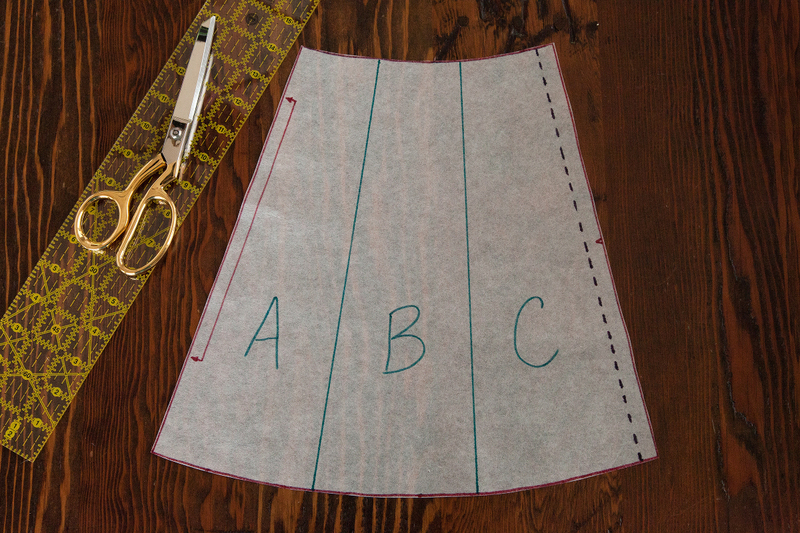 I then divided the pattern into three equal sections between the center fold line and the 1/2” seam at the side. Although I measured carefully, I didn’t worry if the sections were perfectly divided, as a few millimeters here or there would never be noticeable in the finished skirt. Next, I traced the pattern pieces on to another piece of tracing paper. To each new pattern piece, I added a 1/4” seam allowance on the vertical sides, except for the side of C, where there is already a 1/2” seam allowance. 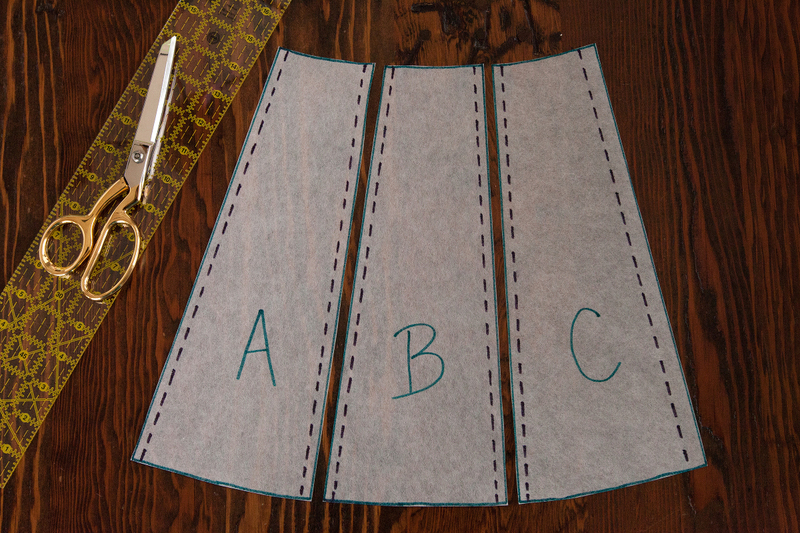 Having learned my lesson the hard way, I like to make myself a little diagram of where I expect to place each fabric, and note if I need to flip the pattern piece (or the fabric) to the wrong side (WS). I chose to serge all of the seams together, which makes for a very quick project. If you don’t have a serger, you can finish the seams with your preferred method. I made certain to press the seams well, and in one direction, to make subsequent stitching tidy and smooth. Once all of the pieces were sewn together, I had the front and back of the skirt ready to continue the pattern according to Liesl’s instructions. I hope many of you decide to try this variation of the Swingset Skirt. Now that I am a part of the Flickr group, I look forward to seeing what you create! If you would like to see more of what I make, you can follow me here and read more about me here. I saw this on Flickr and loved it! I can’t wait to sew one up, thanks so much for sharing! Thanks so much Carrie! I’m looking forward to seeing what you make! Darling! I will have to make one or two up like this. Colorful combination of print fabrics sewn in several pieces for a girl’s skirt! 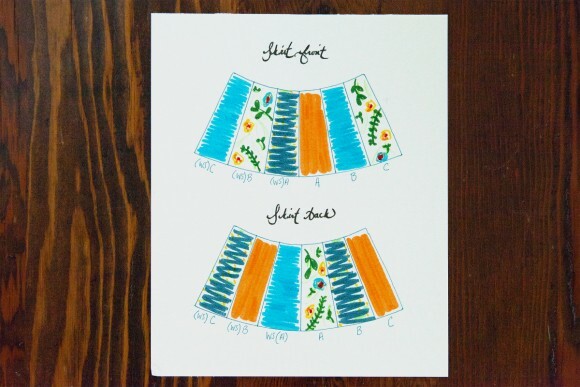 Love this Swingset Skirt pattern– unique idea adding “pizzazz” to coordinate numerous colors of tees and blouses. Easy-to-follow steps & photos in tutorial. 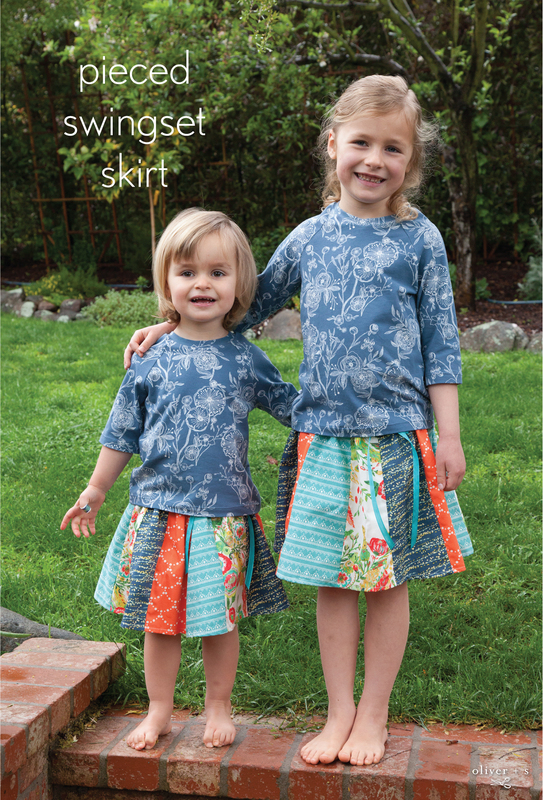 FAB opening photo of 2 finished skirts — smiling models! Brilliant!! Thank you many times over for this idea, and the charming models. 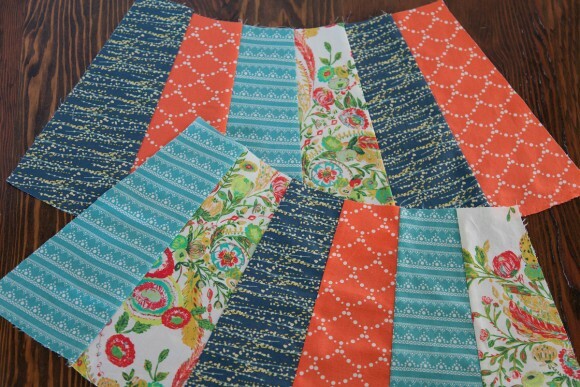 I’m a quilter, and a sewist for kids = lots of fabrics too small for any one project. Thank you for sharing, and your understanding about the difficulties of translating good ideas to paper/patterns – lol.